Obviously, today's biggest Michael J. Fox-related news is that today, February 10, 2014, is the day Marty McFly traveled forward in time to reach in Back To the Future II, and that the previous 500 consecutive days of your Facebook friends saying that were all hoaxes. But today's second-most important news involving Michael J. Fox is that, with his eponymous sitcom canceled, the actor will now return to the warm embrace of The Good Wife. The acclaimed CBS drama provides a soft landing, as Fox has received three Emmy nominations for his role of Louis Canning, a lawyer who goes toe-to-toe with Juliana Marguiles in the courtroom. 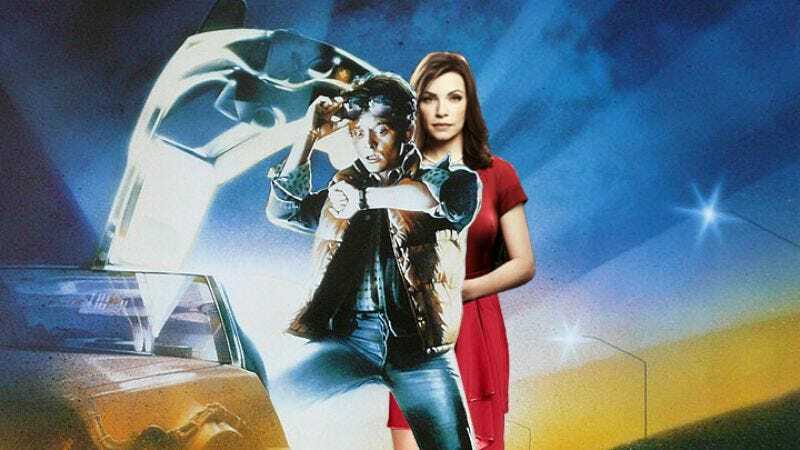 Producers haven't yet announced which episodes Fox will appear on, but The Good Wife returns with new episodes on March 9, 2014—which, in an incredible coincidence, is the same date Marty McFly travels to in Back To the Future II.